A key element of Donald Trump’s election victory was the vote of rural America. Even in Colorado where Hillary Clinton won the state, rural counties overwhelmingly voted for Trump. Las Animas County is one that mirrored the national vote. It voted for President Obama in 2008 and 2012. In fact, it had not voted for a Republican for president since 1972. But in 2016, the county voted for Donald Trump. 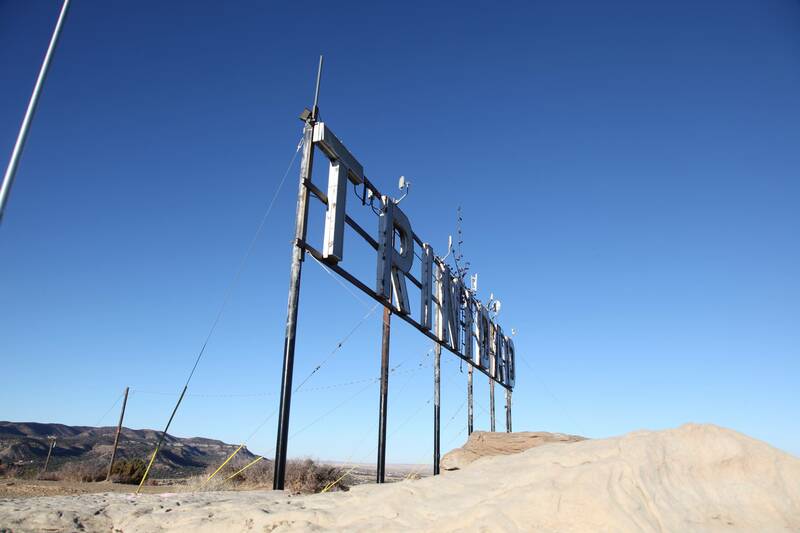 To find out why, "Insight" dispatched a team of journalists, including anchor John Ferrugia, correspondent Lori Jane Gliha and reporter Marybel Gonzalez, to spend time in Las Animas County. They interviewed five voters from various backgrounds and parties to help us understand the biggest political upset of our lifetime. Watch the full Insight report January 19 at 7pm. John Micheliza was born and raised in Las Animas County and says the rural area offers everything he could ever want: ranching, fishing, hunting, ATV-riding. As a businessman who was once the Trinidad, CO Budweiser distributor, he has seen the face of downtown change quite a bit. Even his own business changed in recent years. 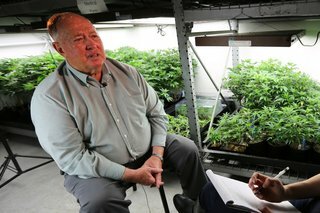 He uses his old beer warehouse to house his marijuana business. Micheliza can’t quite put his finger on the county’s vote for Trump, but says being able to mail a ballot instead of going to the polls probably played a role. Entrepreneurs, he said, may have been attracted to Trump’s resume. Mack Louden is the acting Las Animas County Administrator and the only Republican who serves as a county commissioner. 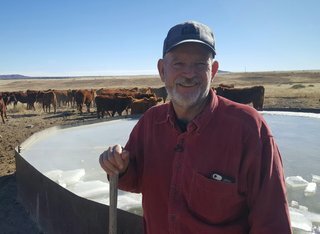 He is a cattle rancher who lives nine miles from his nearest neighbor in Branson and enjoys the privacy. Louden says a variety of factors, including empathy for coal miners, fear of increased regulations, and the economy played into the outcome of the presidential election in Las Animas County. Samantha Quintana considers herself a native of Trinidad. She moved to the city when she was two years old when her mother took a job in construction and later in the coal mines. Quintana now owns and runs two businesses in Trinidad: Red Wing Electric and Double D’s Grill. Quintana says many local small business owners like herself are struggling to stay afloat. She believes the election was more about voting for economic survival than about choosing political parties. Jim Blecha is newcomer to Trinidad. He and his wife moved from Aurora over three years ago. 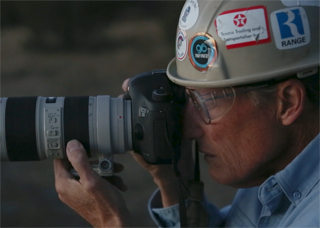 Blecha’s job as an oil and gas photographer has taken him across the country to document the nation’s energy sector, including many sites just outside of Trinidad. Blecha says energy regulations and roadblocks in pipeline infrastructure have caused an uphill battle for the oil and gas industry. He saw the election as a way to revitalize the once-booming industry in Trinidad. 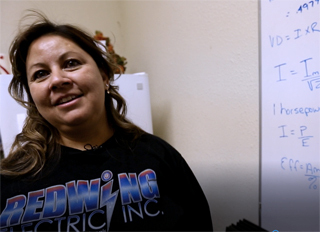 Liz Torres owns three businesses in Trinidad, CO.; a beauty salon, the local candy shop and a restaurant. She is also a member of the city council. The daughter of a coal miner, and the granddaughter of a small business owner, she has watched the ups and downs of Las Animas County her entire life. She is a democrat and voted for Hillary Clinton, but believes people voted outside party lines to protect their livelihood.